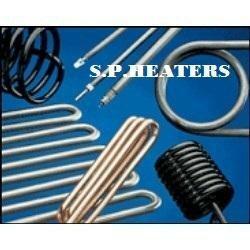 We are engaged in offering a wide range of Tubular Heaters to our customers. These are highly appreciated for its durability and sturdy construction. Our range of products includes Immersion Heaters, Alkaline Immersion Heater and Air Finned Heater. 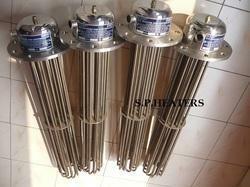 The artist of our company offers an extensive range of Oil Immersion Heaters to our clients. These are available in copper, incolloy and inconel sheath. Our range is known for their nickel chrome resistance wire with SS and MS fins. Offered in screw plug flanges, these are widely used in vending machines, plastic processing machinery, kitchen equipments and other related industries. 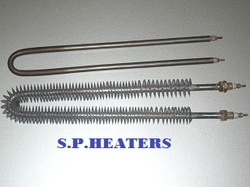 The artist of our company offers an extensive range of Immersion Heaters to our clients. These are available in copper, incolloy and inconel sheath. Our range is known for their nickel chrome resistance wire with SS and MS fins. Offered in screw plug flanges, these are widely used in vending machines, plastic processing machinery, kitchen equipments and other related industries. Air Heater: Heat Torches are robust air heating tools designed to satisfy the most demanding requirements. Heat air up to 760°C (1400° F) with flow rates of 0.3 SCFM to 100 SCFM at wattages up to 50 KW. Designed for use with compressed air or regenerative blowers. 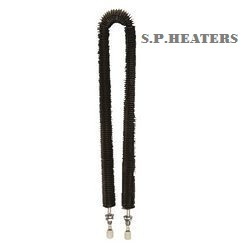 S.P Tubular heaters are available in SS304, SS316, SS321, Inconel & Incolloy sheath.Tubular heating elements perform exceptional heat transfer by conduction, convection or radiation to heat liquids, air, gases and surfaces. In most heater assemblies, tubular element design configurations vary — round, triangular, flat press and formed. Bends are made to customer requirements Custom built from 4mm – 32mm diameters, a multitude of sheath materials with sheath temperature capabilities up to 1400°F, watt densities to fit many applications and up to 600 volts. We are also manufacturing as per customer's requirement. Under the guidance of our experts, our company offers an extensive range of Water Immersion Heaters to our clients. These are available in copper, incolloy and inconel sheath. Our range is known for their nickel chrome resistance wire, Offered in screw plug flanges, these are widely used in vending machines, plastic processing machinery, kitchen equipments and other related industries. Air Heater With U Tube: These Air Heater With U Tube are robust air heating tools designed to satisfy the most demanding requirements. Heat air up to 760°C (1400° F) with flow rates of 0.3 SCFM to 100 SCFM at wattages up to 50 KW. Designed for use with compressed air or regenerative blowers. 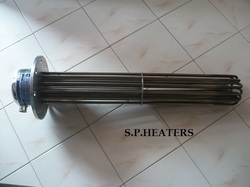 Being a quality centric organization, our company offers a high quality Air Finned Heater to our clients. With the application of forced air heating, dying apparatus, air ducts and uniform heat transfer, these are offered in 8.2mm to 8.5mm diameters. These are manufactured using chrome nickel steel tube, which is procured from certified and reliable vendors. Under the guidance of our experts, we offer a wide variety of Alkaline Immersion Heater to our respected customers. Available in 8.2mm diameter to 8.5-mm diameter, these are utilized in chemical tanks. 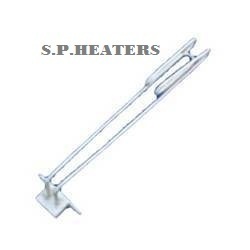 Durability, sturdy construction and long life performance are the well acknowledges features of these heaters. In addition, our range can be availed at market leading rates. We are also manufacturing as per customer''s requirement. 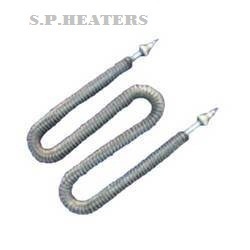 S.P Tubular heaters are available in SS304, SS316, SS321, Inconel & Incolloy sheath.Tubular heating elements perform exceptional heat transfer by conduction, convection or radiation to heat liquids, air, gases and surfaces. In most heater assemblies, tubular element design configurations vary — round, triangular, flat press and formed. Bends are made to customer requirements Custom built from 4mm – 32mm diameters, a multitude of sheath materials with sheath temperature capabilities up to 1600°F, watt densities to fit many applications and up to 600 volts.